Rotorua Bible Baptist Church is located on the western fringes of Rotorua City. Our address is: 55 Pukehangi Road, Rotorua 3015, which is an 18 minute drive from the Rotorua Regional Airport or a 12 minute drive from the Rotorua Government Gardens. We have different service times on Sundays and Wednesdays. For a list of service times visit our Events Calendar. Our services are intended to glorify God and edify the congregation. Join the congregation in singing some favorite hymns of the faith, enjoy powerful and moving specials from the choir, groups, and soloists, and hear Spirit-filled sermons from Pastor Shane Montgomery. We use traditional conservative God-honouring music. We preach and use only the King James Version of the Bible. Do you have programs for the children? Absolutely! We have classes and programs for children of all ages. Crèche/Nursery care is provided for every service. Children of all ages enjoy youth church, Sunday Schools, AWANA club, and other programs tailored for their age groups. Our exciting teen group offers frequent activity opportunities, as well as interchurch conferences and/or camps every year. Visit our children’s ministry page for specific classes and age groups. Our church staff and many of our church family dress up for our services, but feel free to wear what’s comfortable for you. 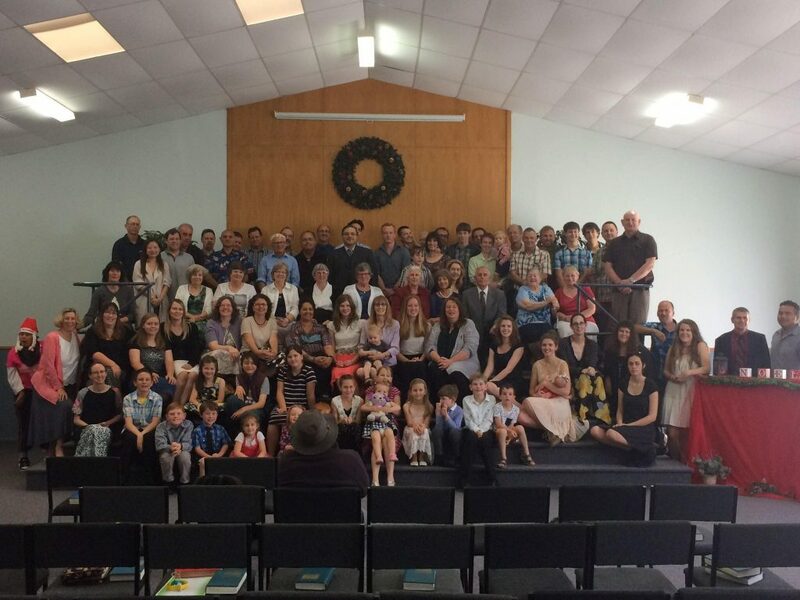 Our main goal is that you feel welcome while visiting Rotorua Bible Baptist Church. Friendly greeters will be waiting at the front entrance when you arrive. They will be able to help you find where you should go, where to take your kids, and be able to help you find the answer to any question you might have. How can I contact the Church or Pastor? See our Contact Us page for details on how to contact us by phone, email, or through our website.